Nearly all commodities have experienced severe corrections in pricing. Cattle is the last to fall. 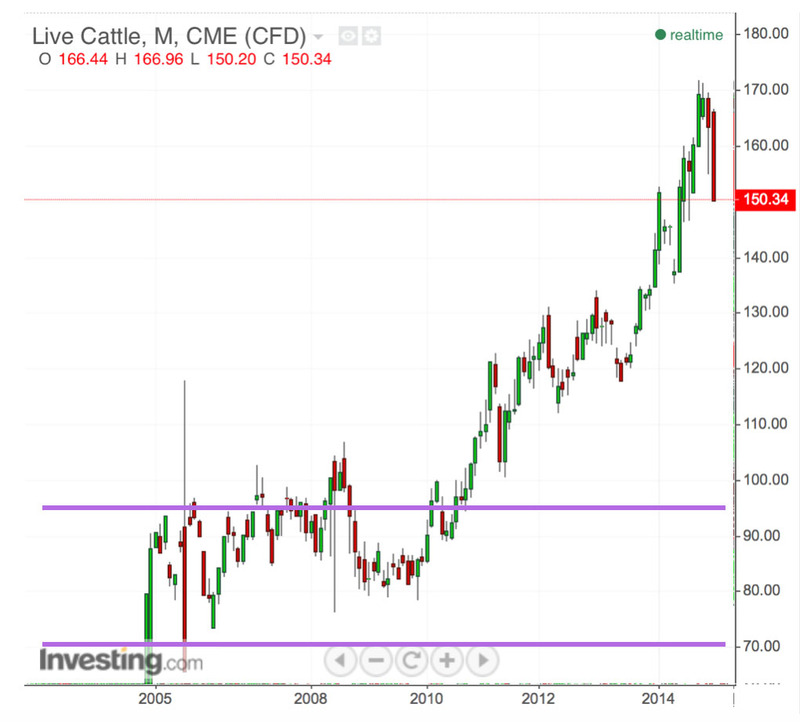 Live cattle last to fall? 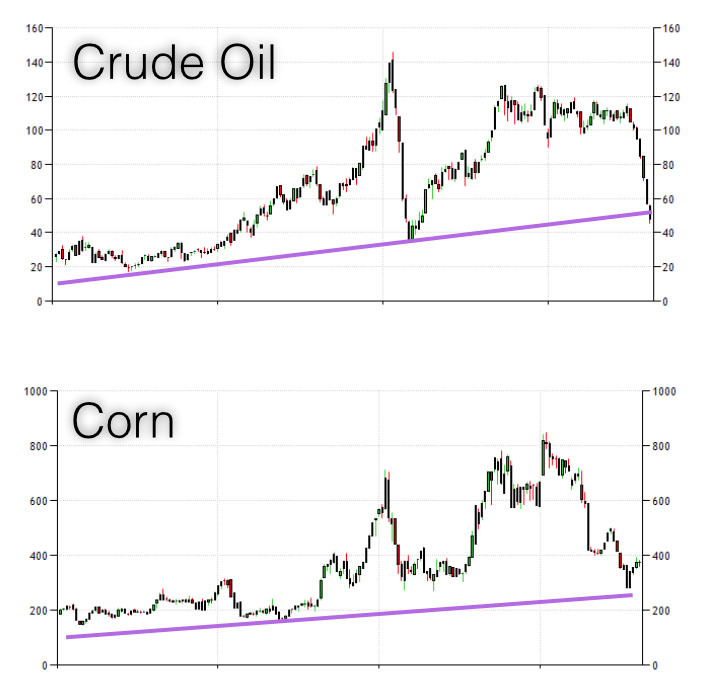 Other commodities rose in price because production growth was constrained by physical limitations imposed by the Earth. 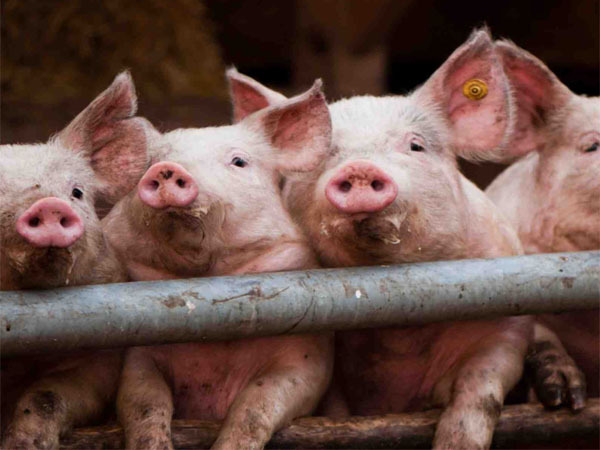 The US cattle herd actually declined over the past 12 years from culling. Typically indicates near-term shortage, but there’s no real shortage: feedlots are holding back cattle to keep prices high. Cash trade volume is low. 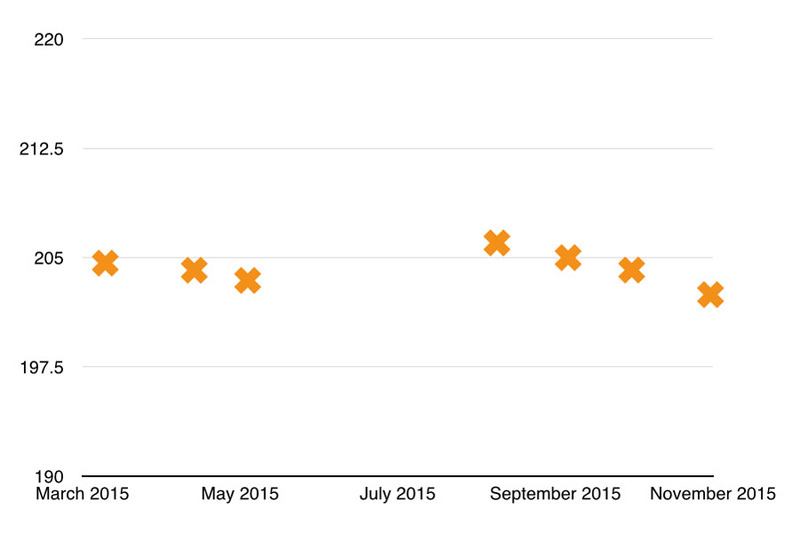 Spot prices (low-160s) have been dragging near-dated contracts up recently. 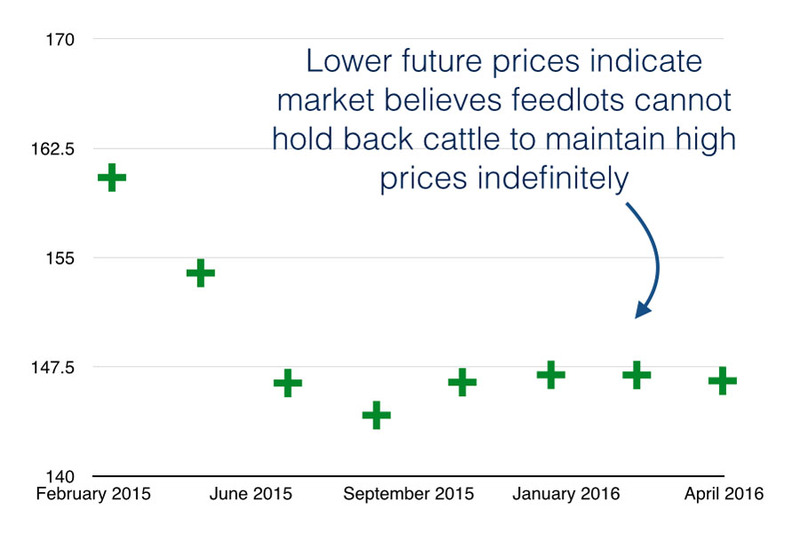 Feeder prices have risen together. 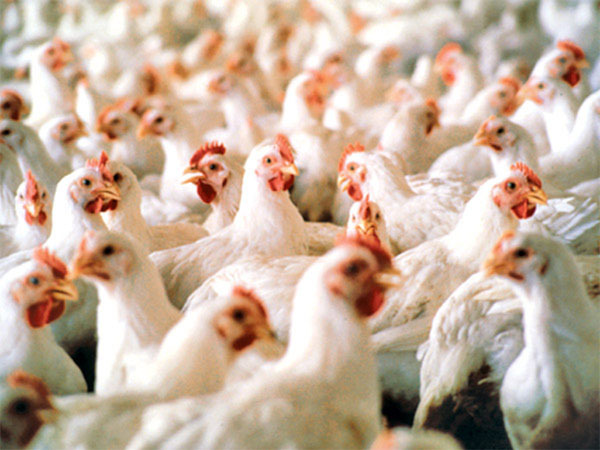 Feedlots have been trying to place more cattle and market indicates demand will be consistent. 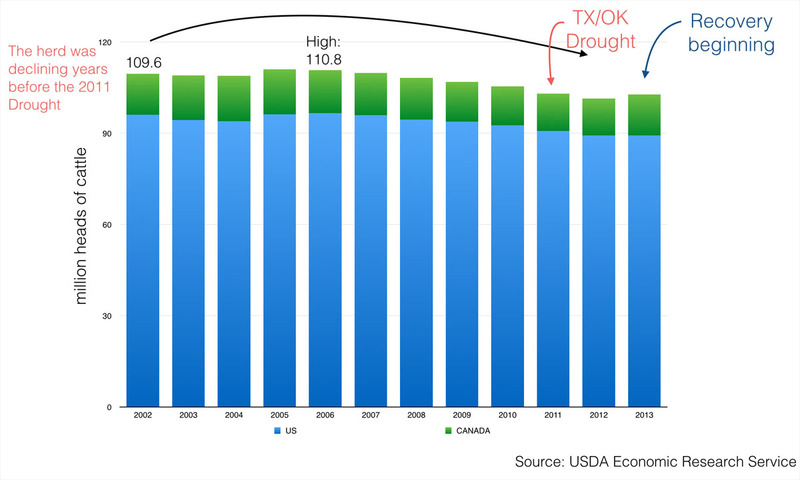 Domestic consumption of US beef has fallen while exports have risen. 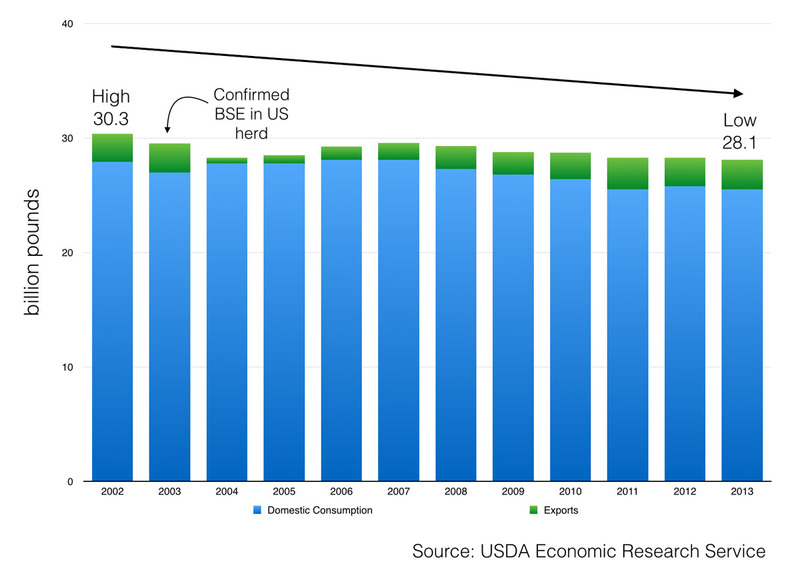 In aggregate, demand for US beef has fallen in the past 12 years. 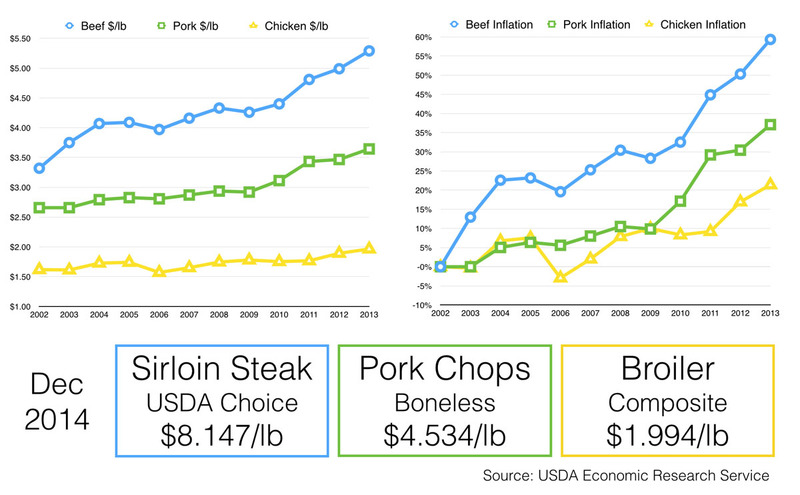 Beef inflation has outpaced pork and chicken inflation over the past decade. The premium to buy beef at retail is the widest in recent history.